When it comes to survival rations, you have to hand it to the crews on old-fashioned sailing ships. They proved necessity is the mother of invention. For thousands of years, when currents and wind were a ship’s only means of propulsion it took months to cross the high seas. And yet, nearly every corner of the world was explored and mapped by the end of the “Golden Age of Sailing“. These sailors endured long voyages that would regularly last months without a harbor. Sometimes it was years before returning back to their homeport. These long trips required food stores that could last for long periods out at sea. Voyaging long distances meant limited opportunities to resupply; remember this is before refrigeration and canned food! So one of the staple foods on these ships was a simple, dense, hard survival bread called Hardtack. A survival biscuit made with three simple ingredients: flour, water, and salt. Hardtack is a solid survival bread that held up well to rough transport and kept nearly indefinitely. Since it was both inexpensive and nearly indestructible, this hard biscuit often made up the majority of a sailor’s rations. In fact, in 1588, the British Royal Navy provided each sailor 1 lb. of hardtack biscuits and a gallon of beer PER DAY! Obviously, this biscuit was a shipboard staple. It became such a widespread staple, different ports had unique names for hardtack such as cabin bread, sea biscuits, survival bread, or ship biscuits. Entire industries sprang up in ports to support the resupply of ships with more of this hardy stuff. Traditional hardtack is immensely HARD. Why? Because you bake it, leave it out to dry, and store it with moisture absorbing desiccants to prevent spoilage. Each of these steps removes all moisture, making it difficult to bite and chew in its raw form. Often you must soften it to make safe chewing possible. While soaking them in coffee is still popular. Many people choose to eat them like toast by adding syrup or jam, providing a sweet (and calorie-dense) snack. Of course, with only three ingredients, you can easily learn how to make hardtack at home for yourself. Many of the commercial recipes use additional ingredients. This is an attempt to improve the texture and taste, but these additions reduced the shelf life. There are many recipes variations for homemade hardtack. But these homemade recipes are optimized for rapid consumption instead of prolonged storage. Common commercial additions are sugar, honey, spices, powdered milk or eggs, and even oil and butter. However, these hardtack recipes are best kept refrigerated since the additional ingredients compromise the shelf life. Especially, oil and butter which will go rancid quickly if left unrefrigerated. If your ultimate goal is to store some survival calories for years to come, I recommend sticking to the three basic ingredients. With such a long history and a fool-proof, inexpensive hardtack recipe, it’s no wonder it remains popular today. 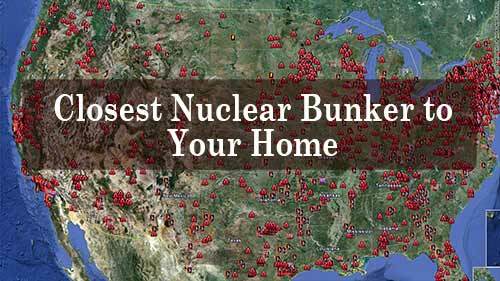 It’s become a food staple for homesteaders, survivalists, and preppers alike. You can make hardtack with any flour you so choose. Whole wheat? Absolutely, works great. Rye flour? A great alternative for those with wheat allergies. With an afternoon of work (mostly baking), you can have an ample supply of hardtack that will last years. Note: If you prefer to watch a video instead, skip to the end of this section. Start by mixing the flour and salt in a large bowl. Pro tip: This is a great time to remove any rings on your fingers. Hardtack dough is very sticky, and you’ll have a hard time getting your rings clean later – trust me I know! After you mix your dry ingredients well, begin adding the water in small amounts. You can mix and knead the dough by hand or with the bread hook attachment on a stand mixer. Again, it’ll be extremely sticky at first but will quickly turn into a uniform dough. If it’s still sticky after several minutes of kneading, add a small amount of additional flour. Once your dough forms a solid ball, dust a work surface with flour and place the dough on the floured surface. Using a rolling pin, heavy pint glass, wine bottle or even your hands, roll the dough out to roughly 1/4″-1/2” thick. Cut the dough into serving size portions. This will be easier if you form the dough into a rough square (rather than a pizza crust circle). If you’re not very experienced using a rolling pin you can use pencils as guides! Just lay a pencil on either side of the dough and press down until the rolling pin is resting on the pencils. Now, rolling back and forth will give you a nice flat piece of dough. When you’re happy with your dough shape, place it on a cookie sheet. Now using a knife or dough cutting blade, cut it into manageable “cracker” size pieces. Ideally, you want them roughly the size of a saltine or graham cracker. This size is best for long-term storage and it makes a good serving size for later. I recommend a size that will still fit in a mug if you choose to soak with soup or coffee! Now, with your “sheet of crackers” cut to size, poke small holes spaced evenly across each piece. These holes help the biscuit bake consistently. Ideally, you want both the edges and the middle of the hardtack biscuit to have a consistent bake. The holes allow more moisture to escape and keeps the dough from rising in the oven. Also, the holes make it easier to break the tough biscuits into smaller chunks later for eating. Now, bake the dough for 25-35 minutes in a 375deg oven, until it just begins to brown on the surface. You’re looking for a very light tan, more than an actual brown. Its very easy to scorch the flour, so pay close attention. When you have a light tan color, take the survival biscuits out of the oven and allow it to cool COMPLETELY. You want it to be 100% cool before putting it into any package to remove as much moisture from the biscuits as possible. Any trace of excess moisture will cause your hardtack to spoil prematurely. So if you live in a relatively dry climate, feel free to leave it out for several days to dry some more before storing. You can store dry hardtack for many months or even several years – if it remains dry. Vacuum sealing or use mylar bags and desiccants will help remove moisture during storage and a solid (metal) container keeps rodents out. Keep the individual packages small, so you only open what you need while keeping the rest safe and dry. Here’s an excellent video showing just how easy it is to make survival biscuits at home. As you can see, making hardtack is about as easy as it gets. You can even make a fun day out of it by including your kids or grandkids in the baking process. And when you’re done, you’ll get the amazing feeling of comfort knowing you have a nutritious bread to feed your family no matter what the future may hold. You cannot survive long-term on bread alone. Your body needs other nutrients such as protein, and vitamins as well. But when it comes to long-term food storage, not just any old protein will do. Protein spoils rapidly without refrigeration. That’s why you must learn how to make pemmican and store it properly. Pemmican is sort of like hardtack in protein form! It’s a protein you can store a lifetime without refrigeration. Now, I’m not going to deep dive into the history and all the details of pemmican here because we’ve already written a detailed pemmican article. 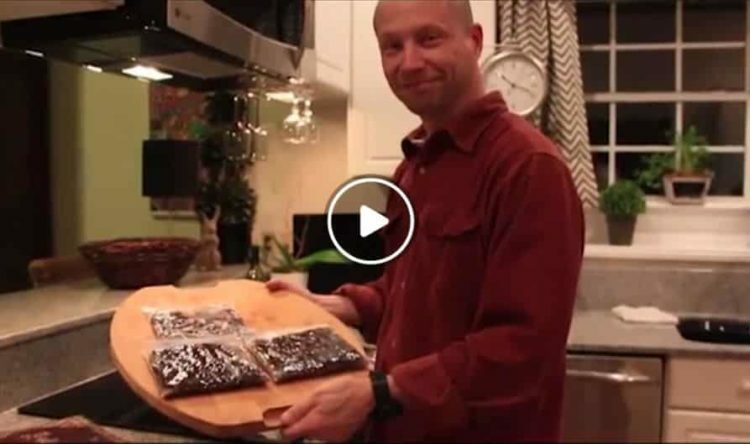 But if your interested in seeing how pemmican is made, then check out following short video. Pemmican is another survival superfood that pairs up very well with hardtack for long-term storage and survival. While in survival mode, a meal of coffee-soaked hardtack will do to fill an empty stomach, but no meal is complete without some dessert! ANZAC is another “survival biscuit” with a long shelf-life. It was developed by the families of the Australian and New Zealand Army Corps (ANZAC) during World War 2. The families back home wanted to send food and treats for the troops. But it had to survive months of travel from the South Pacific to Italy where many of their soldiers were stationed. Since that time, it’s become a national staple in both countries with recipes approved by the government to preserve the history of the treat. Sure, ANZAC biscuits don’t have as long a shelf-life as hardtack (they contain both sugar and butter). However, ANZAC biscuits are a great short-term addition to any survival cache. And they can be a welcome break from eating hardtack day in and day out! Add corn syrup to dissolved soda and water. Combine with melted butter. Mix dry ingredients and stir in liquid. Place small balls on a lightly greased cookie sheet and bake at 300deg for 20min or until golden brown. Now you know how to make and store a life-saving survival bread in the form of a simple biscuit – known as hardtack. Pair your hardtack with some pemmican, ANZAC biscuits, and bulk rice storage you’ve got yourself a legitimate survival food stockpile. You can have a ton of long-term calories on a prepper friendly budget. Now it’s just a matter of taking the knowledge and applying it. Because taking action now, long before you need it, is the real secret to survival. I carry two boxes of Matzo “bread” and a jar of peanut butter in my pickup truck. I put bread in quotation marks, because it’s like a brown cracker. This was the unleavened bread that the Israelites baked before Moses led them out of Egypt (captivity) It keeps indefinitely, but without peanut butter, or Underwood deviled ham ( I know, not kosher), the taste is bland. You can buy it in supermarkets that have Jewish foods. After reading your article, I plan on adding hardback to my “behind the seat” pantry. What would you say the shelf life of Anzac biscuits is? Obviously, not forever but would you estimate it would last a few months or so, or longer than that? It all depends on how dry the biscuit is and how you package it. It can last decades if properly dried and stored. Nice post! If I may make a slight correction regarding ANZAC biscuits. In the first World War, the original ANZAC contingent were formed in Egypt and shipped to the Gallipoli Peninsular in Turkey. Landing on the 25th of April 1915 (which is remembered in NZ & Australia as ANZAC Day). The families sent the biscuits as you stated, but to Gallipoli. The soldiers were issued with hard-tack and bully beef in their rations. Sealed packets or tins of commercially made ANZAC biscuits (more like a thin cookie, for those unfamiliar with them) are fine for a year or two and the “approved” recipes are the same whether at home or in a factory. Home baked ones for snacking are usually a bit soft in the middle but commercial ones are very dry and often dunked in a hot cup of tea. With good hygiene, sealed airtight storage and flushing with nitrogen or co2 homemade anzacs should last 18 months, easily. I’ve never seen either kind go off, just stale if left unsealed. Isn’t it “necessity is the mother of invention”? To make the best pemmican, find a buffalo farm, and get some fat from them. Far superior to any other fat you can use.